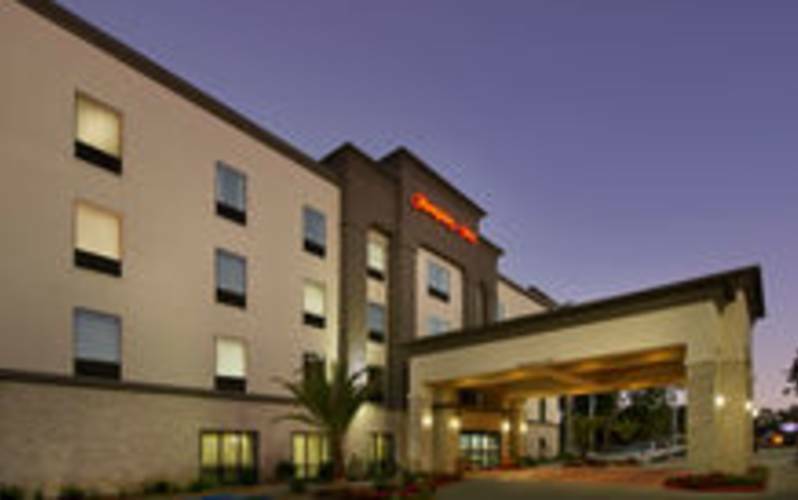 Boasting an authentic Louisiana setting near Lake Charles’ business district, Hampton Inn Lake Charles, LA, offers easy access to the Lake Charles Downtown Lakefront Boardwalk and the Charpentier Historic District. Guests at this friendly hotel in Lake Charles, LA, can enjoy close proximity to tempting Cajun restaurants, lively bars and dance halls, museums, championship golf courses and impressive casinos. Visit popular attractions, including Bord Du Lac Park, Adventure Cove, the Isle of Capri Casino, L'Auberge Casino Resort, Golden Nugget Lake Charles and the Mardi Gras Museum of Imperial Calcasieu – all easily reached from our Lake Charles hotel. Feel at home in a comfortable guest room, where you can check emails with free WiFi at the spacious desk, watch free in-room movies on the flat-screen LCD TV and relax on the clean and fresh Hampton bed®. Wake up to Hampton’s free hot breakfast buffet, or grab a Hampton’s On the Run™ Breakfast Bag, Monday-Friday. Our 24-hour Suite Shop stocks a variety of snacks, drinks and chilled meals, bound for your in-room microwave or refrigerator. Enjoy free tea and coffee and helpful advice on things to do in Lake Charles, Louisiana, 24-hours a day in our lobby. Refresh in the indoor swimming pool or energize in the free fitness center, which features the latest exercise equipment. Stay productive in the free business center and hold an event for up to 25 people at this hotel in Lake Charles, LA, in our 600 sq. ft. conference room.